A 1980’s remodel in a 1938 home was tired and needed replacing with a completely new look. 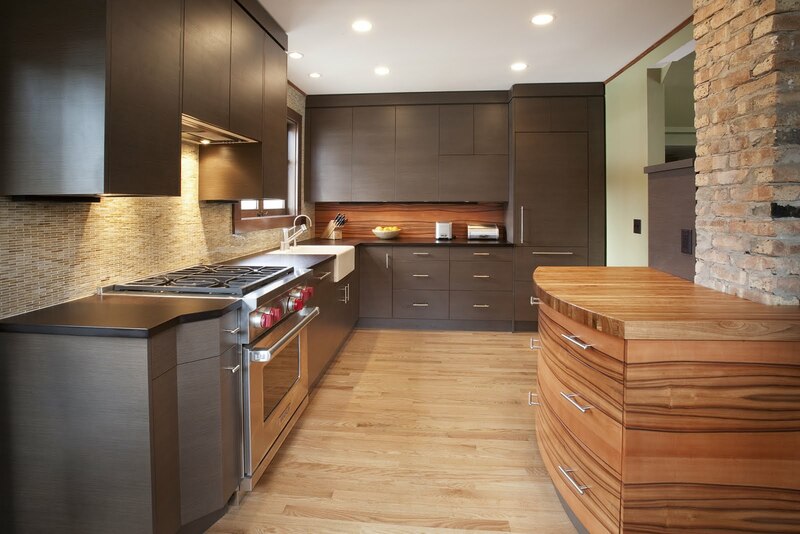 Wenge styled cabinets by Neff, a new custom fabricated casement window, oak hardwood floors, Paperstone countertops, a curved-front applewood cabinet and backsplash, and a glass mosaic backsplash all make a stunning contrast. 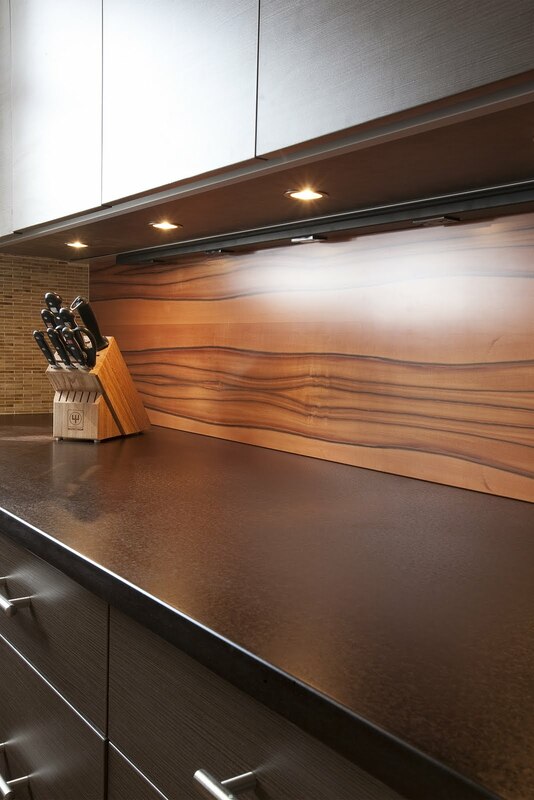 The Sub-Zero fridge and Asko dishwasher are built in with matching cabinet panels.